Are you spending the Easter long weekend in Perth? The Australian orienteering Easter Carnival will be held in Western Australia, with events in Perth, Beverly and Narrogin. The carnival starts over the Easter long weekend and runs until April 27. The event comprises seven orienteering experiences over nine days with a family relay on Good Friday at the University of WA. Spectators are welcome. Up for a challenge? Find out more about the carnival events and entry details. If a family getaway is on the cards, the Swan Valley’s Vines Resort offers a relaxing Easter weekend away. Guests can enjoy a luxurious stay with two 18-hole golf courses, mini golf and resort swimming pools to keep everyone entertained. There are also squash/tennis courts, day spas and multiple dining outlets. Check the resort’s Easter packages with room specials available for the entire long weekend. Families can also book more space in the two or three-bedroom apartments which include breakfast daily. Sorrento Quay has all the action for the Easter break and school holidays. Each year, the Easter Arts and Crafts Expo takes over the harbour with boutique stores, stage shows and special guests including the Easter bunny!. Aside from the Easter-themed activities, Splash Island, an inflatable theme park on the water, will also return from April 12th to April 28th, where kids (and adults) can enjoy water slides and water-based bumper cars. Read more about activities at Sorrento Quay here. The hustle and bustle of Freo’s city centre is the place to be this Easter. Explore local and international cultures with the world’s best street festival over the Easter long weekend. Visitors can expect the streets of Freo to come alive with live performers and all the food and drinks your stomachs can handle. Explore the Fremantle markets, soak up the atmosphere on the fishing boat harbour and let the world entertain you. Better yet, make an entire weekend of it and stay in Fremantle for a few nights. Easter just isn’t the same without an Easter egg hunt. Gather the kids and head to Yagan Square in Perth’s CBD for their annual Easter egg hunt. Thanks to Sue Lewis Chocolatier in Market Hall, free treats will be given out to those who find the yellow chicks hidden in the area. If your kids have more energy than you know what to do with, book a day at Adventure World for hours of adrenalin-fuelled entertainment. There will be a special Easter event on Good Friday, where extra rides and entertainment can be enjoyed. Children 12 and under can participate in an Easter egg hunt. Why not make the most of extended opening hours before the school term recommences. Animal lovers can interact with furry and scaly friends at Perth zoo. Families can easily spend a full day here, whether it be walking past the animal attractions, picnicking on the grass areas or trekking through the African Savannah. It’s not uncommon for the animals to be treated to their own version of Easter ‘eggs’, either – so check back on Perth Zoo’s website to see what they have in store closer to the Easter long weekend. Perth has many pretty picnic spots to venture to for the Easter long weekend. Pack the car, kids and treats and drive to your favourite picnic spot. Fremantle is ideal for a family Easter catchup. Some of the best picnic spots in the area include Bathers Beach, Monument Hill, South Beach and Esplanade Reserve. Alternatively, head to Perth Hills for the great outdoors, nature, food and fun. The area has many popular and easily accessible picnic and BBQ spots, national parks, bushwalking and hiking trails. Finish off the long weekend with a barrel of laughs on Easter Monday. The Perth Comedy Festival starts April 22 and runs through to May 19. Join the world’s best comedians and local funny folks for four weeks of giggles. The program includes a variety of shows and stars, so check the website to see which one appeal to your family. If you plan to tackle shopping over the long weekend, many of the major centres have Easter activities available for the kids. Keep up-to-date on your local food or shopping spot’s opening hours here. Although most places will be closed for Good Friday, Easter Sunday and Monday are trading days with school holiday activities scheduled. This one is from the Just In Time Gourmet Family! Next to Christmas Day, Good Friday is the next big day of the year our family looks forward to the most. Our big family all head down to City Beach early to secure prime position on the grassed area to hold The Pat White Cup – Good Friday Bocce Championship. After fuelling our bodies with a yummy picnic lunch (and Tayla’s latest dessert creation), the game of all games gets underway. 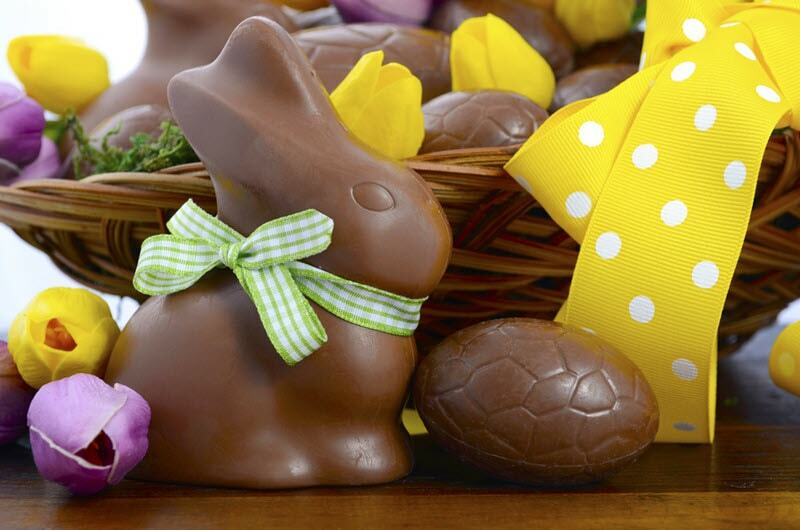 With a huge 600g Whistlers Chocolate Bunny up for grabs, the competition is fierce! Not only are the chocolate stakes high, the engraved trophy and bragging rights for the upcoming year, are enough to get this hugely competitive family ready for battle. If you want the tastiest Easter treats to pair with whatever activity you choose, contact us today. To sweeten the deal, Just In Time Gourmet offers free delivery on all our goodies over $50 in Perth and great delivery rates for interstate orders.